Adam and Desiree Haller, creators of the Sub Safe, are your typical Floridians. They like fishing, boating, the beach and Publix subs. Adam got an epiphany one day while fishing off the east coast of Florida. He had a sub sandwich in his cooler, and when it was time to chow down, it was a soggy mess. Anyone who ever put a sub or sandwich in a cooler has experienced this. I know I have. Adam doesn't like single use plastics like zip lock bags (which can still leak in a cooler), so he set out to invent a storage container that would hold a Publix sub in his cooler safely. On Monday, February 26th, 2018, he unleashed the Sub Safe on the world. It fits a foot-long sub in a watertight container. Now, soggy subs are a thing of the past. He did it right, too. Sub Safe is patented and it's a hit with Florida fishermen (most of them enjoy Publix subs too). It's made of BPA-free plastic and it stores more than subs. It's great for keeping keys, cell phones and wallets dry while on the water. It also functions as two cups in a pinch. 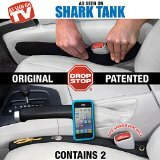 When Sub Safe taped Shark Tank, they were only in business a few months. The episode airs just 11 months after they opened their doors, so things are moving fast. At eighteen bucks apiece, if you save just three subs, it pays for itself. The Hallers hope a Shark can help accelerate their business when they pitch their product in episode 1009. We LOVE our Publix subs in our house. My daughter would eat them every day if she could. We actually had Publix subs tonight at our daughter's volleyball tournament – she swears she plays better when we have them! I fish quite a bit myself and have had soggy sub syndrome more times than I can count. I would definitely buy one. I think the Hallers ought to go talk to Publix. If they had these stacked at the deli counter, they'd sell a bunch of them. I'm IN! Will the Sharks Think This is a Safe Investment? One objection that likely comes up is “it's a product, not a company.” That said, sales figures will drive the Sharks' interest. The business was only four months old when they taped, so they likely didn't have a ton of sales. Their launch video went semi-viral with around 140,000 Facebook views, so they could demonstrate some good numbers out of the gate. That leads to another likely objection: “it's too early.” The Sharks will want a bigger piece of the pie with such a new business or they won't want to get involved at all. If a Shark has my idea: license it to the Publix, Subways and Wawas of the world, their could be interest. I'm on the fence as to whether they get a deal, but I love the product.